Paul Smith and The Rug Company Successfully Defend Copyright Infringement Case on Summary Judgment - Gottlieb, Rackman & Reisman, P.C. 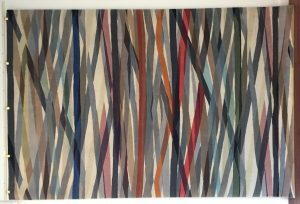 Paul Smith Limited, The Rug Company Limited and affiliated entities have successfully defended copyright infringement allegations asserted by California artist Judy Stabile. 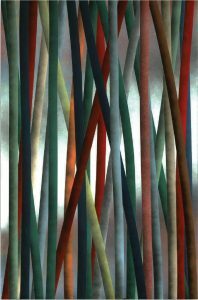 Stabile’s “Cylinder” paintings are characterized by multicolored opaque “cylinders”, with a three-dimensional feel due to their shading, transposed in front of backgrounds with similar visual depth. Stabile has been active as an artist in California, specifically the Venice Beach area, since the 1970s. Paul Smith is an internationally famous British designer, whose company operates stores in most major commercial cities around the world. His company designs styles and patterns for garments and accessories under multiple fashion lines, and licenses these designs for use by third parties. The Rug Company is a United Kingdom company that sells high fashion, luxury rugs and related home accessories, also in most major cities around the world. The Rug Company has had a business relationship for over fifteen years, by which it features Paul Smith designs on these rugs, including the “Carnival” design at issue in the case. The “Carnival” design was created by Paul Smith’s Women’s Print Department in late 2008 and early 2009. Paul Smith Limited has a standard procedure involved in the creation of its designs: members of the different design teams coordinate a theme for each design season, and then the designers in a specific team create their own “inspiration board” before started the creation of each design. When designs are complete, the “inspiration board” and designs are screened by outside intellectual property counsel to ensure that there are no potential infringement issues. As a result of this standard procedure, Paul Smith had copies of the “inspiration board” that inspired the principal designer of “Carnival”, Ms. Niamh Gillespie, to create the design, as well as its step-by-step iterations from inception to completion. In order to establish copyright infringement in the U.S. a plaintiff must prove: (1) ownership of the allegedly infringed work and (2) copying of the protected elements of the work by defendant. As direct copying is difficult to prove, a plaintiff can satisfy the second element by demonstrating that (a) defendant had access to the allegedly infringing work and (b) the two works are substantially similar in both idea and expression of that idea. Defendants submitted the expert report of Ms. Denise Mullen, who pinpointed the great differences in overall look and feel of the works, and provided a number of famous artistic works that included the same element of striped colored lines (thereby establishing that Stabile really only deserved protection of the exact appearance, intersections and colors of her “cylinders”). The memorandum also included admissions made by Stabile during her deposition as to certain differences between the works. Stabile filed an opposition to the motion, and included the expert report of Ms. Mumsey Nemiroff. For the first time in the action, Stabile asserted only “Extrapolations #3” as the work that was infringed, dropping out her other two “Cylinder” works. The opposition hinged on case law from the 9th Circuit Court of Appeals that held that copying can be established by showing that the accused design is so “strikingly similar” to the copyrighted work that no explanation other than copying is plausible. Ms. Nemiroff’s report contended, based on side by side comparisons of portions of the works that they were, in fact, strikingly similar. The Court granted summary judgment to the Defendants, finding that even when taking the facts in the light most favorable to Plaintiff: (i) Defendants did not have access to Extrapolations #3 because Stabile’s “Extrapolations #3” was not widely disseminated and there wasn’t a reasonable possibility that Paul Smith’s designers had access to it, and (ii) the works were not strikingly similar, based on the numerous differences in appearance, and the substantial evidence of independent creation. There are no true lessons to be gleaned from this case with respect to the issue of similarity as that varies on a case-by-case basis. However, evidence of independent creation (especially when it can be established that the allegedly infringing work was created prior to the allegedly infringed work) can be an extremely useful and effective defense. Educate designers and other creators that there is a fine distinction between inspiration and infringement. In this case, as there was no access to Stabile’s works there was no issue in this regard, but it is important for creatives to understand this distinction in order to minimize the risk of infringement. Keep detailed, dated records of all materials used as inspiration for a new creation. With respect to the Paul Smith case, the fact that Stabile’s works were not featured on Paul Smith’s inspiration board was evidence that Paul Smith didn’t have access to Stabile’s work, and that Paul Smith had independently created the “Carnival” design. Keep detailed, dated records of the step-by-step process of creating a work. Clear the finished creations with in-house or outside counsel, to ensure that there are no potential infringement issues.